Trailer for Wish I Was Here. Wish I Was Here is Braff's follow-up to his indie breakout hit Garden State. Wish I Was Here was directed by Zach Braff from a screenplay he wrote with his brother, Adam; and stars Zach Braff along with Kate Hudson, Mandy Patinkin, Josh Gad, Ashley Greene, Joey King and Pierce Gagnon. Wish I Was Here tells the story of a thirty-something man who finds himself at a major crossroads, which forces him to examine his life, his career, and his family. Wish I Was Here was released ten years after Zach Braff’s directorial debut, Garden State, which was loved by fans and critics--scoring 86% on Rotten Tomatoes. Zach Braff co-wrote Wish I Was Here with his brother, Adam J. Braff, who typically spends more time in the art department. Film was a crowdfunding success with the help of supporters on the crowdfunding website, Kickstarter, where the film raised $3.1 million. Zach Braff used his own account to raise the money. Donald Faison who was Turk to Zach Braff’s J.D. on the show Scrubs, plays the character of Anthony in the film. The trailer for Wish I Was Here may feel familiar; the quirky locations shown through a widescreen shot, characters adorning wacky attire such as vibrant wigs and astronaut suits, the limited use of dialogue in favor of a dreamy atmosphere and a Shins song. Wish I Was Here shares a lot with writer/director Zach Braff's debut film, Garden State. Just as Braff's first feature allowed audiences to revel in loneliness while realizing just how insignificant we all are in the larger picture of the universe, Wish I Was Here appears to expand on similar themes. The title brings forth an existential dilemma of being “Here” physically but feeling adrift in the world in general. A little bit older and wiser, Braff plays a father who encourages his children to breathe in the beauty of the world, even if he is not always using his own advice. The only words spoken in the trailer are positive ones about Joey King’s character getting a wig that is as “unique and amazing” as she is, once again, Zach Braff’s indie appeal stems largely from his ability to make the most mundane task seem life-changing. 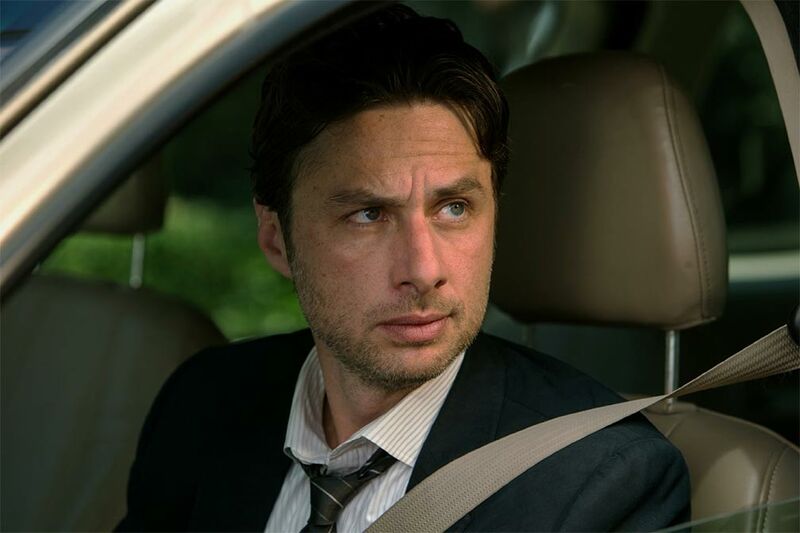 Actors Kate Hudson, Mandy Patinkin, Josh Gad, and Joey King round out the cast, proving Zach Braff can always round up a great group of actors for his small films. The trailer for Wish I Was Here pleases those who loved Garden State, and will probably inspire an eye roll or two by those who found Garden State to be overindulgent. Say what you will, but the Wish I Was Here trailer provides zany and delirious images, shaky but fun camera work, and a top-notch cast with a fantastic Indie soundtrack. I wish I was there too.